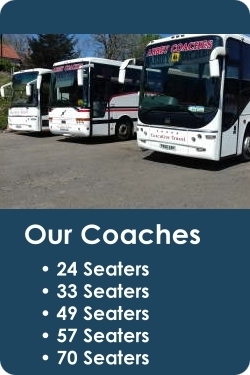 “Our local business has been using Abbey Coaches for a number of years now and have always found their service and staff to be extremely professional and helpful. Just to say a big thank you to you and your driver Andy, who took us flawlessly to a major cross country race in Cumbernauld on Saturday. I’ve never, in many years of going there, travelled so smoothly in and out of the eternal maze that is Cumbernauld. It makes such a relaxing difference when you have 70+ youngsters to get to a start line. Despite being held up at the clubhouse by a couple of late-arriving athletes, Andy kept us on schedule and was helpfulness itself throughout – he even came along to the races and gave the runners a cheer. Please give him our thanks, and feel free to use this on your website if you need a review. 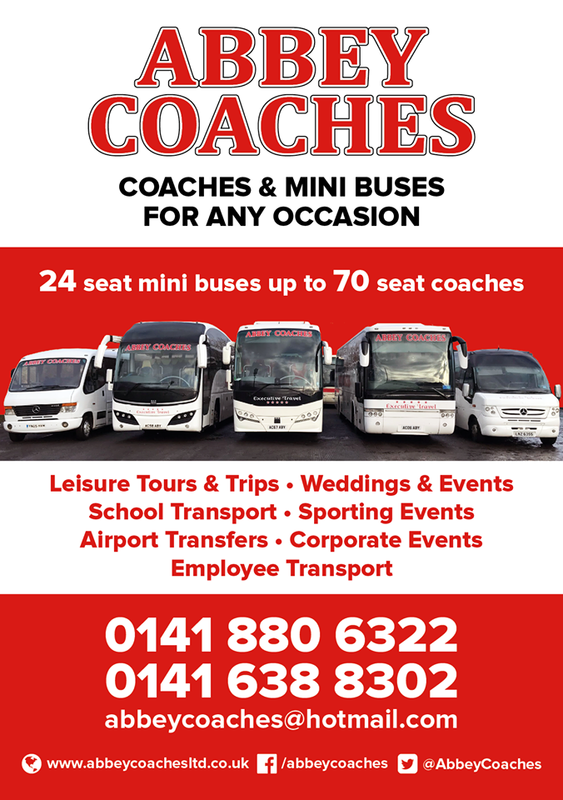 Just to let you know we were happy with the coach, price and driver for our trip to Musselburgh last week and would be happy to use Abbey coaches again for any future trips. Recommended your company to a friend who runs St Convals FC Linwood who used one of your coaches also last Sunday.